Another cool skull design for your collection. 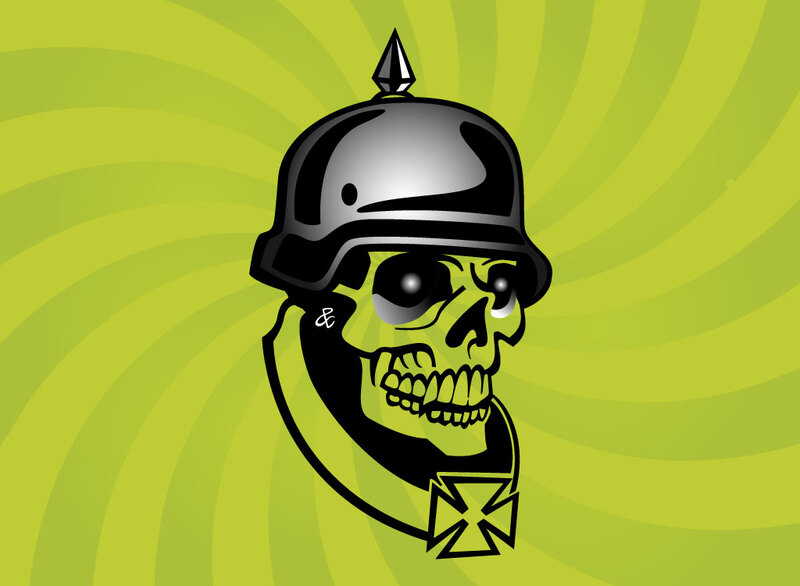 A zombie or skull with a German helmet. Great graphics for a collage, tattoo, t shirt or punk design. Download this cool hand drawn art as an AI and PDF for all your designs and projects. Tags: Cartoons, German, Helmet, Iron Cross, Nazi, Punk, Skull, Soldier, Ww2.